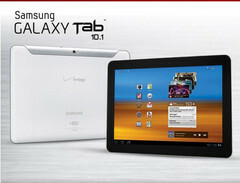 Verizon wireless has announced a new software update for the Samsung Galaxy 10.1 Tabs. This update is mainly accounted for the LTE service provided by Verizon. According to Verizon wireless this update includes upgrades on several fields, which includes an enhanced data connectivity which will lead to a better data access. A few updates are regarding the email and browsing as whenever you attempt to use data services in a roaming area then you will be alerted by a notification. You will be also able to select between reply and reply all to send an email response through the EAS email Server. They have also resolved the EAS syncing interruption and updating an EAS password will automatically update the security settings. After installing the update if you use the native client for exchanging email an apostrophe will be displayed with an appropriate symbol. Some other device features are also enhanced as the connectivity of the device with another device with a MAC platform was a bit unreliable, but now they will be easily detected by those devices. The SIM id and the 15-digit IMEI (International Mobile Equipment Identity) code will be now displayed in the “About tablet” screen along with other information. Though these updates are really going to attract the users but Verizon Wireless and Samsung encourages the users to download this update.